Natural Light Mirror. 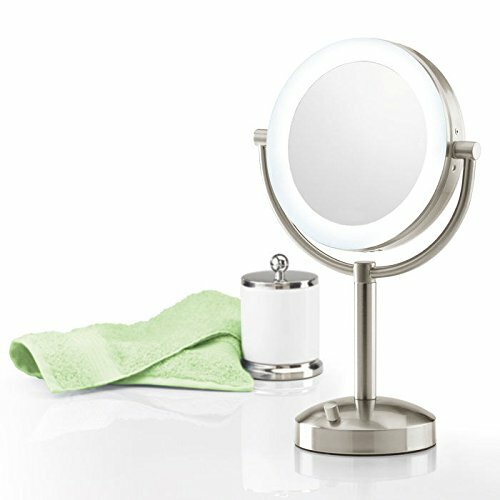 Apply makeup, view your face or see a magnified view of yourself in our Natural Light Mirror with up to 10X power and easy-swivel design. 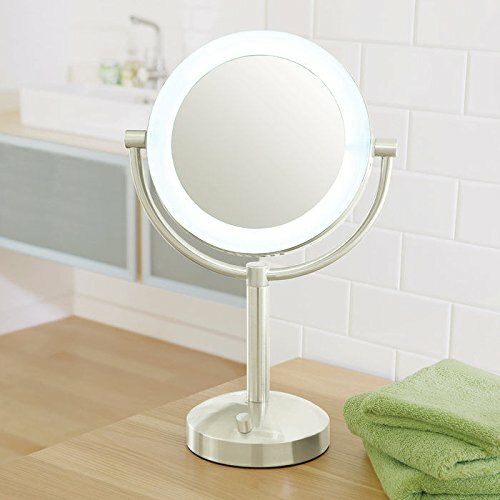 Designed for people who care about how they look, our Natural Light Mirror shows you a true reflection of your face. 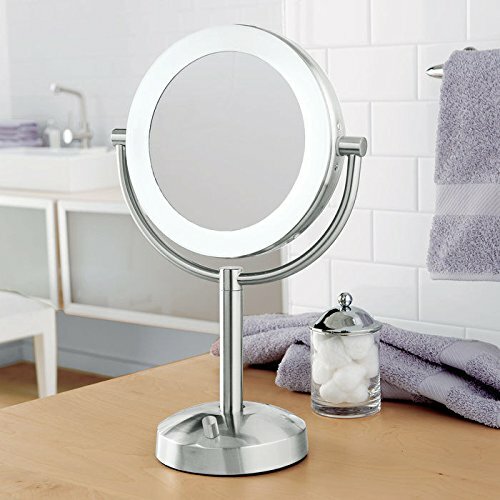 The LED light simulates real sunlight and the swivel design lets you adjust the mirror however you want. Two magnification powers - 10X and 1X - make it easy to apply makeup and get an up-close view of yourself. Our quality mirror is constructed of glare- and distortion-free glass so the image you see is always crystal clear. Ideal in any home. 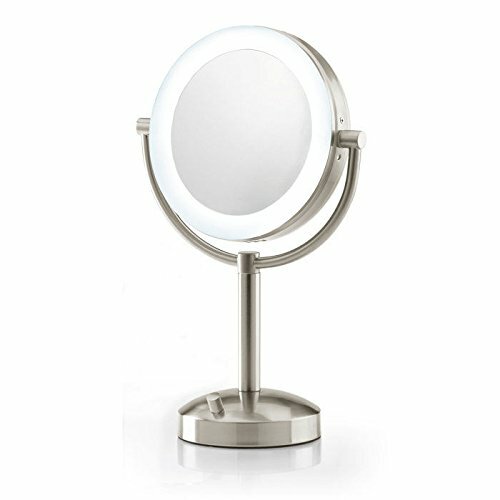 Dimensions: 18'' H x 11.5'' W Mirror Diameter: 7.25'' Base Diameter: 6.5'' Our Natural Light Mirror provides the right lighting for a truer reflection of yourself. Illuminates and magnifies 10X and 1X.